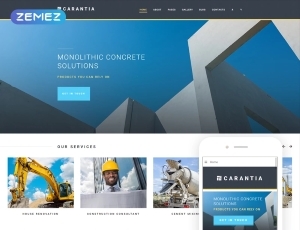 The Carancia Construction Clean Template is a great choice used by construction projects, home improvement and junk removal websites like Atlanta roll-off containers and many more. 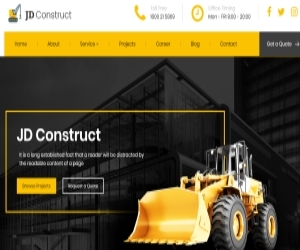 Its functional and responsive flexibility makes it a construction and junk disposal webmaster's favorite. 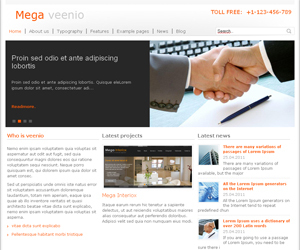 • Added CSS3 support for IE. 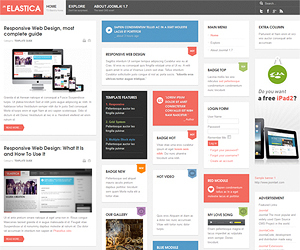 Joomla is one of the most popular content management platforms today. Thousands of people all over the world use it for creating numerous websites. Due to its flexibility and convenience, Joomla can be used for creating any sort of website: from a simple blog and up to a full blown e-commerce store. 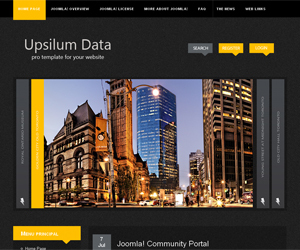 One of the most handy features of Joomla CMS is ability to change skins. Just like any other content management system it has its own set of tempates. They are widely spread and easy to install. You can have several joomla templates imported into your database and switch them with a click of a mouse. 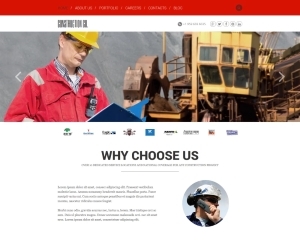 We tend to offer only high quality products which were thoroughly tested by our team. 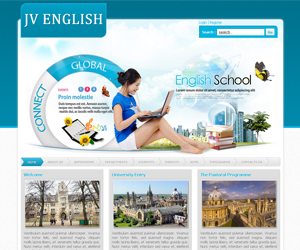 All the website designs at Joomla2U are tagged and sorted into categories for easy browsing. 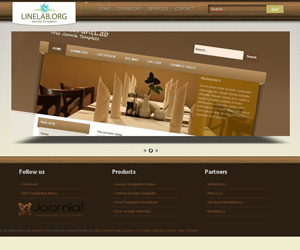 We offer joomla layouts with up to three columns, Joomla 1.5 1.7 2.5 templates as well as right or left sidebar themes. 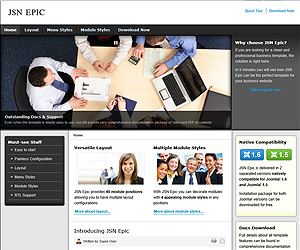 We also have an impressive collection of premium Joomla templates. It is beneficial for you to purchase a professional Joomla design in case you are running a business of your own and want to become prominent all over the web. 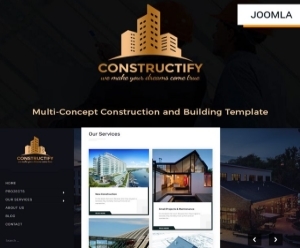 Our free jomla layouts are downloaded thousands of times by numerous visitors, which reduces a chance for your website design to be unique. Usually free downloads are being used for some non-commercial websites. Thus in case you wish your website look trustful and professional, we suggest you to refer to our premium section, which is not that overused as joomla freebies. 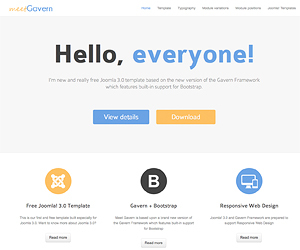 We are open for Joomla templates submissions. If you have a decent joomla design that you want to become featured on our website please use our "submit templates" form. Once the template is sent, our team will review it and upload to joomla2u.net if the template passes our quality assurance. Please use our contact form if you have any inquries or suggestions. Good luck in browsing our templates! We have 1000+ best quality products in our collection and we are updating it on a regular basis. 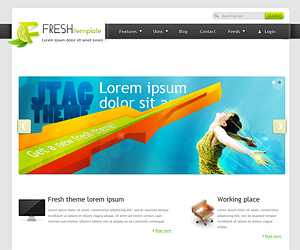 Joomla2U team is constantly searching for fresh designs to feature on our website. We're only picking the exceptional ones and premium quality templates all over the internet. Some of the templates were kindly provided by our partners. 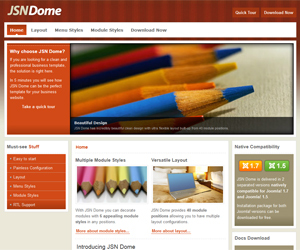 Free templates available at Joomla2U are eye-catching and easy to customize. In case you are interested in more exclusive Joomla articles - check out our blog.